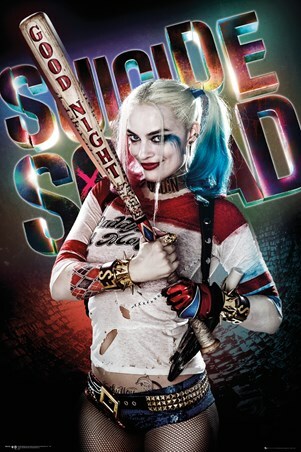 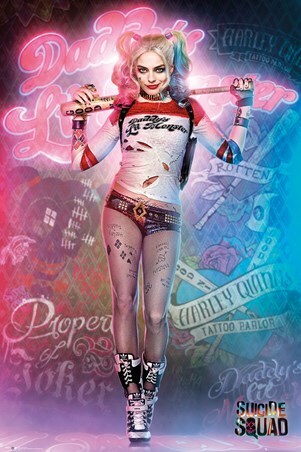 Uh oh... Crazed supervillain Harley Quinn is proudly brandishing a baseball bat and our instincts tell us that she isn't planning on using it for sporting reasons! Dressed in tiny hot pants and a top sloganed with 'Daddy's Lil Monster', Harley accessorises herself with a baseball bat; etched with various scribbles and the message 'Good Night'. 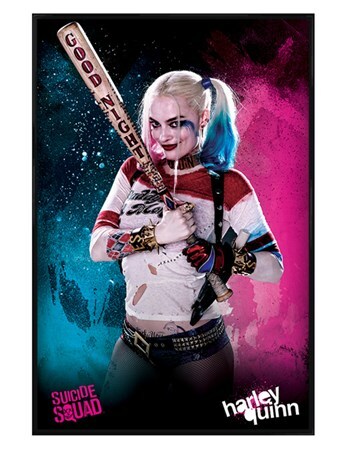 If you're feeling as mischievous as the psychotic Suicide Squad member, then this poster will definitely add a dash of trouble to your wall. 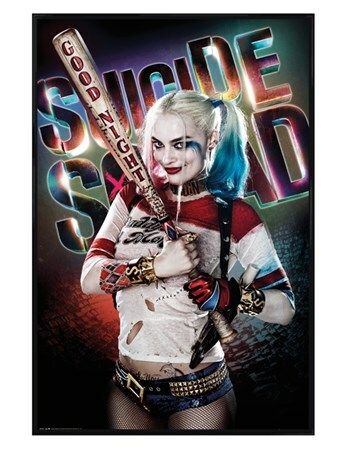 High quality, framed Harley Quinn Good Night, Suicide Squad poster with a bespoke frame by our custom framing service.